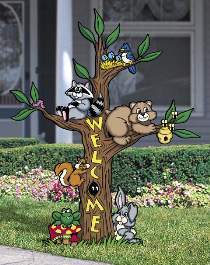 Woodland critters welcome all in this exclusive, towering totem for the yard. A real attention-getter at craft shows. Measures 60"H x 48"W.